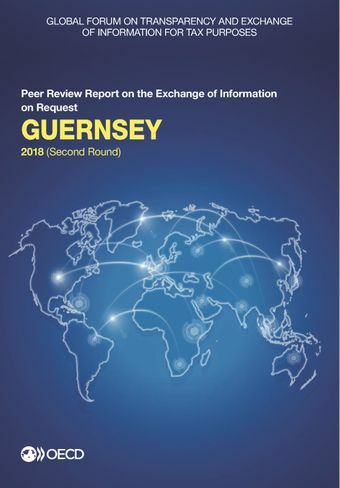 This report contains the 2018 Peer Review Report on the Exchange of Information on Request of Guernsey. Guernsey was assessed to be overall Compliant with the international standard of transparency and exchange of information on request (EOIR). This marks an improvement in the legal and regulatory framework as the previous rating of Guernsey was Largely Compliant. Its legal framework is now generally in line with the international standard; however, Guernsey was recommended to closely monitor the implementation of the newly introduced central register of beneficial owners to ensure its effectiveness in practice. The exchange practices of Guernsey over the period 1 January 2014 to 31 December 2016 remained satisfactory despite an increasing number of EOI requests being received. Read the press release.